DIYers and handymen alike understand the importance of a power saw. 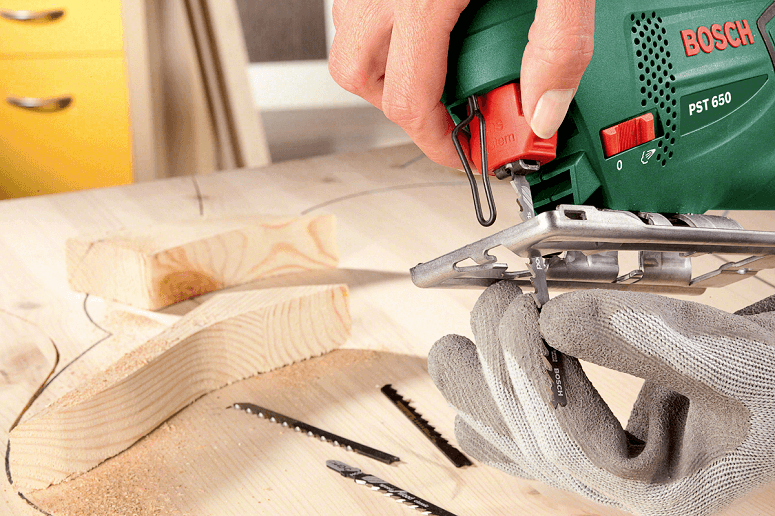 However, if you’re someone who is new to DIY, you may be asking yourself what you should invest in first, and which is better, a jigsaw or a circular saw. Today, we are going to do a comparison between the jigsaw vs. circular saw. A jigsaw (also known as a saber saw) was invented by an engineer, Albert Kaufmann, in Switzerland in 194.6. The saw uses an electric motor to move a reciprocating saw blade. It is true that these saws fall under the category of a reciprocating blade saw because the blade moves in a back and forth motion while it cuts the material. However, these saws are more versatile because they can be attached to a platform, or you can use them by hand. These saws are capable of cutting through a variety of materials, but they are primarily used for cutting curved cuts in wood and metal. The blades that are used with these saws are narrow and to make a desired cut, you will either need to start at the edge of your material or first drill a hole into the material and then go from there. The jigsaw is often preferred by DIYers when they want to cut a non-linear pattern that .has intricate cuts, or cuts that have curves in them. You can also use these saws to create designs, as the saw gives you the ability to pivot and bevel with ease. The circular saw was invented way before the jigsaw – back in the late 18th century! These tools were primarily used in sawmills around the US and thanks to advancements in technology; these saws use a single blade that can cut through wood very easily, as they use a toothed disc that will rotate at high speeds to create straight, smooth cuts. These saws can cut through a variety of materials such as wood, sheet material, roofing, and plastic. It is crucial that depending on the material you want to cut through; you have the right blade for the job. Also, the more teeth your blade has, the smoother the cut. This means that if you have a 24-tooth blade, your cut is going to be pretty rough; however, if you have a 50 or 60 tooth blade, you can expect the cut to be smooth and will not need much sanding. 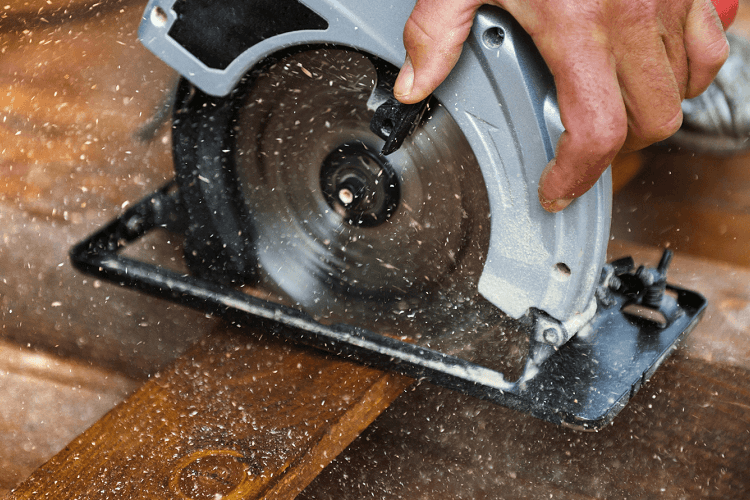 A circular saw also can cut through metal, tile, and masonry. Should you want to cut through these materials, you will want to use the appropriate blade. For example, a diamond blade is needed when cutting through masonry and tile. You will want to use a fine tooth carbide blade if you need to cut through pipes. If you need to cut through cast iron or thin metal, you will need a blade that is made to cut through metal. Jigsaw Vs. Circular Saw: Which One Is Best? In all honesty, both tools are crucial to have in your toolbox. However, if you are new to power tools or if you are a crafter a jigsaw may be your best option. A jigsaw is going to help you create curved cuts, cuts in the middle of the material, and even intricate, delicate cuts. These saws are among the most versatile saws that you could have because they can create a variety of cuts, but also cut a variety of materials – even metal and tile with the right blade. 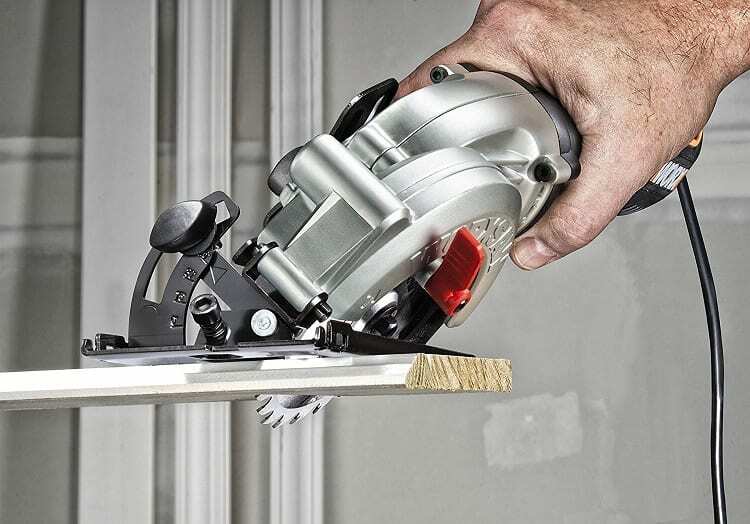 A circular saw is going to be your go-to tool when you need to make straight cuts quickly and efficiently. Because the circular saw uses a high powered motor and a blade with sharp teeth, it is going to rip through the material with ease. Of course, like with the jigsaw, the ease of use does depend on the type of blade you are using as a blade intended for wood will not cut metal like cast iron. When you are deciding when to use a jigsaw vs. circular saw, you will want to take into consideration the types of cuts you will be making. If you are a straightforward kind of person who doesn’t need to make intricate or curved cuts, then naturally a circular saw will be the best choice, as you’ll be able to make straight cuts quickly. Then again, if you are a DIYer who likes to do a little bit of everything, then a jigsaw is going to be the way to go. These saws will give you the most bang for your buck because they are extremely versatile. These saws will be able to give you straight cuts (although we don’t recommend making long cuts, as the tool may be difficult to keep straight with prolonged use), but it will create curves, cutouts, and even do detail work. 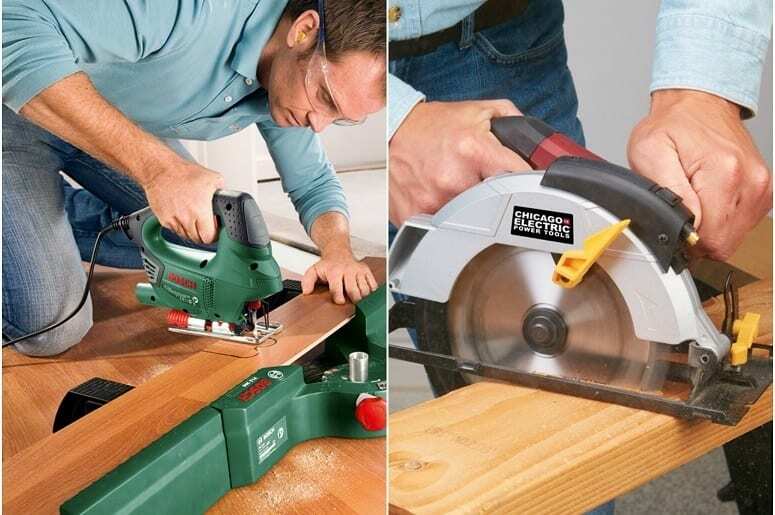 When it comes to the comparison of Jigsaw vs. circular saw, we feel a jigsaw is the better option when buying your first power tool and the circular saw can be purchased at a later time. As a seasoned DIY woodworking enthusiast, I have over two decades of experience working with a variety of materials and projects. What was once only a hobby has slowly turned into a second career, as I’m now a contractor in my spare time. Frustrated over the lack of objective online resources for those looking for new saws, I started this site as a way to provide fellow woodworkers young and old with informed, detailed reviews that can lead them to a better buying decision. I’m always testing out popular saw products so I can pass along the information to my readers, saving them time and money. If you’re in search of the best saw reviews on the internet, you’re in the right place.